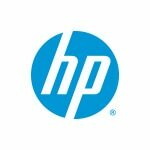 HP Software Technical Support provides comprehensive services and cost-saving updates to help you enhance the performance and availability of software from HP and other leading vendors. Available standard business hours on standard business days, this convenient service gives your IT team direct access to HP IT Response Centers. Experienced Response Center engineers provide trustworthy advice on issues such as software features and use, problem diagnosis and resolution, and software defect identification. Any member of your IT staff can electronically access essential product and support information. Choose Software Technical Support when you need to improve the productivity of system managers and operators; improve system performance and reduce downtime due to software defects; expedite problem resolution through expert-level technical resources; enjoy consistent service coverage across geographically dispersed sites; update HP and selected third-party software at a predictable cost; take advantage of subscription savings on software updates; keep your license compliancy up-to-date.